sarahkatebranine: why exactly we have two pallets sitting on our porch. . .
why exactly we have two pallets sitting on our porch. . .
this is truly a treat. 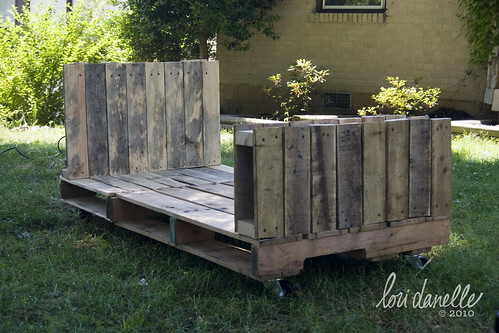 and Steve and I have pretty much decided that this here pallet bed is what we will be making for Graeme's toddler bed. I'm in love with this idea, but I am prone to change my mind often. So, we have the pallets waiting on our porch for if and when we decide to use them. 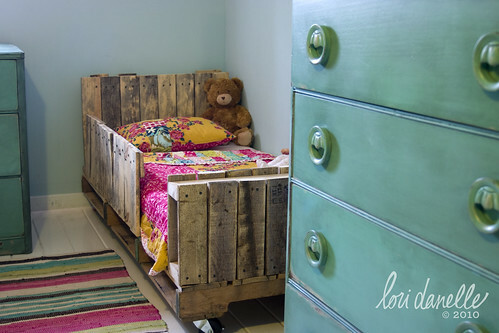 go here to see more of Lori Danelle's helpful photographs and to read her incredibly thorough how-to instructions for the pallet bed. going off of yesterday's post and my personal goal for November. . .
wow. I have truly never seen anything like that before! 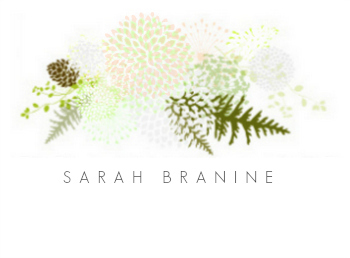 And how amazingly *green* as well! :) It is quite sensational! I just read of someone staining a wooden table who wanted the aged farm house table look. They couldn't find the stain color they wanted and found this idea: soak a steel wool scrubber in vinegar for 24-36 hours. It turns the perfect greyish color of stain. I'll find the link to pass on...though, I'm now wondering if it would *smell*----ew! Though they finished their table with a coat of poly. I hope Andrew doesn't see this or he's going to totally want to take this on! Love it!!! How incredibly cute. I had already bought a toddler bed for Jordan at a garage sale, but I am rethinking what I want to use after seeing this post! Paige--so glad for your front page feature! You deserve it! e--hm, very good to know about the steel wool scrubber! wow--who knew?! kelly--;-) How cute would Graham look in that bed, though?! He would love it! L--I did see that! How fun. One of the drawbacks to this bed ( the one on my blog ) is that I wasn't sure what to do with it after Graeme graduates to a normal bed. But I totally love the idea of taking the front piece of and pushing it up against the wall for a reading nook. How comfy would that be? !